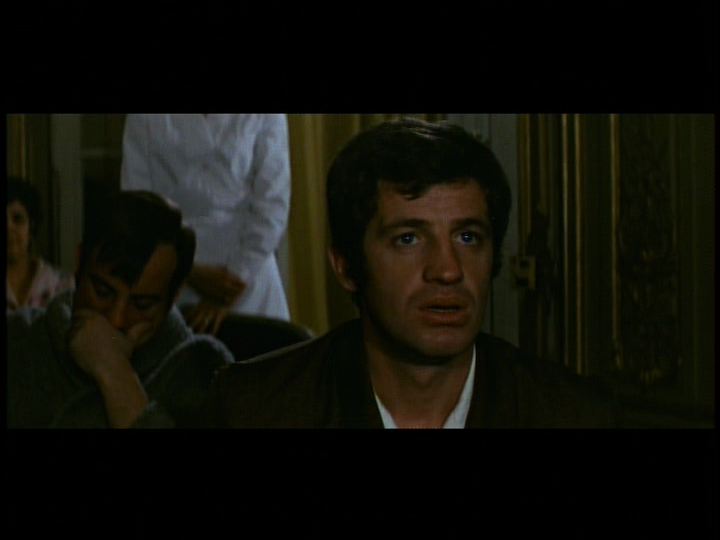 The owner of a tobacco factory (Jean-Paul Belmondo) on the island of Reunion is surprised to find that his new correspondence bride (Catherine Deneuve) looks nothing like the photo she sent him — but he falls in love with her nonetheless. As he learns more about his new bride, however, he quickly finds himself involved in an increasingly tangled web of deception and murder. Based on Cornell Woolrich‘s 1947 novel Waltz Into Darkness, this Hitchcockian thriller by Francois Truffaut offers an intriguing variation on his cinematic obsession with deceptive, calculating, and/or murderous females (with Deneuve’s “icy blonde” a particularly suitable homage to Hitch’s sensibilities). To say very much about the plot would be to immediately give away spoilers, thus making it difficult to provide a fair critique of what happens throughout the two-hour film. 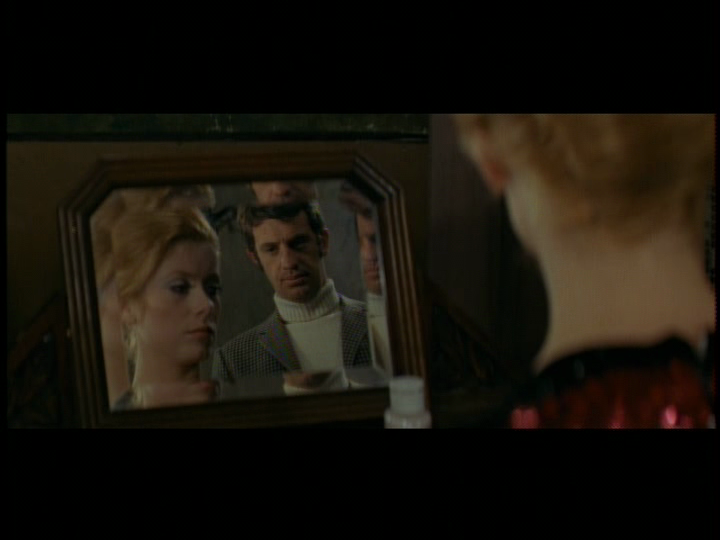 Suffice it to say, however, that Deneuve and Belmondo make an appealing screen couple (naturally! ), and that one can’t help remaining involved in their travails, even as one questions many of the foolhardy choices they make. Meanwhile, Truffaut makes excellent use of location filming in a diverse set of locales, ranging from the small island of Reunion off the coast of Madagascar, to Antibes, Aix-en-Provence, Lyon, Paris, and finally a snowy white cabin in the mountains. This one is worth a look. 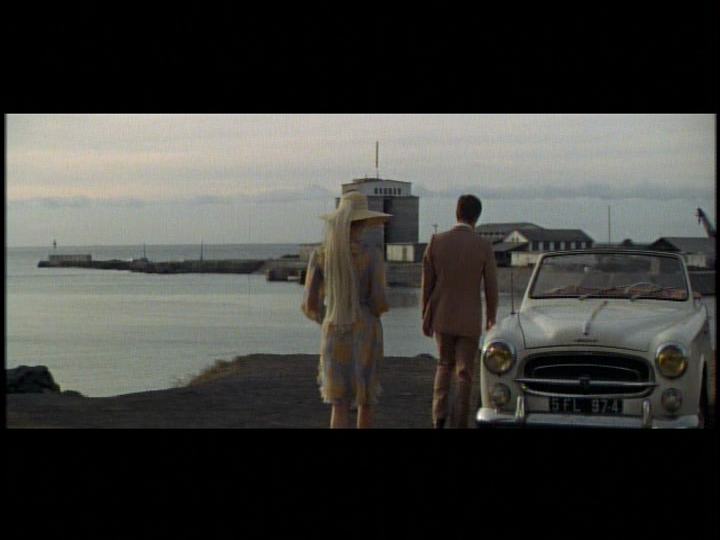 Note: This deceptively titled film has nothing to do with either the state of Mississippi (it refers to the name of the ship Deneuve arrives on in Reunion) or to mermaids (other than an alliterative reference to a female “siren” of sorts). Be forewarned. Yes, as a good show by Truffaut. Listed as a Personal Recommendation in the back of Peary’s book.